We recently made some improvements to eClincher to make it easier for you to analyze new Twitter followers and decide if you should follow them back. These new additions will allow you to quickly access profile information, evaluate their level of influence and read their recent tweets and mentions. The first addition you should know about is the ability to hover over a Twitter profile image to get a quick view of their name, username, follower/following numbers and location. To view this information all you have to do is hover over a Twitter profile image. If you would like to see all of their information, simply click on their profile image. We noticed that many times we only needed the basic information to help us remember who followers are. By hovering you get quick access to this information without interrupting your workflow. Not all followers are created equal. Some have significantly more followers than others. As a business, you may want to know who these “Power Users” are. Especially when it comes to handling their complaints or questions. That is why we added a new feature that makes it simple to see how many followers an account has at a glance. You will begin to see colored circles next to the profile images of your followers. These colors indicate their number of followers. By default, users with 2,000-7,500 followers will have a yellow circle next to their name and users with more than 7,500 followers will have a green circle. If you want to tweak these parameters, click on “Settings” when you are viewing the Twitter profile that you would like to change. We did our best to create default settings that would be useful, but ultimately it will depend on who you follow and how active they are. The number of followers a person has on Twitter is typically a solid indicator of their influence, but we all know these numbers can be manipulated several different ways. To help you better understand how influential your followers are, we added their Klout Score to their Twitter profile information. If you are not familiar with Klout, they are a company that created a rating system to determine the influence of people on social media. The Klout Score is based on a scale from 0-100, with 100 being the most influential people in the world. Behind the Klout Score are over 400 deciding factors that are updated daily. Keep an eye on the Klout Scores of your new followers to quickly assess their influence level. Why do you follow people on Twitter? Chances are that it is because you are interested in what they are sharing. Why is it then, that when you get a follow request there is no easy way to see their recent activity? We decided to fix that! You now have quick access to any Twitter user’s recent tweets by clicking on their profile image and then going to the “Recent Tweets” tab. We regularly check people’s recent tweets to get an idea of the type of content they share and how frequently they share it. It is also a great way to engage with your new or existing followers. If you see a tweet you like, give them a like or retweet. What someone is tweeting is important, but so is what other people are tweeting about them and to them. That is why we added a “Mentions” tab to the Twitter user information. Quickly access any Twitter user’s recent mentions to better understand the sentiment related to their presence. This is especially useful for analyzing businesses. As a primarily B2B company, we find that recent mentions are a great way to analyze what people think about a business that has connected with us. The saying goes, you can tell a lot about a person by the company they keep. On Twitter you can learn a lot about a person by seeing who they are connected with. To make it easier for you to do this, we added lists of who a user is following and who is following them. Use this as another way to analyze a new follower. Tip: Looking for new people to connect with? 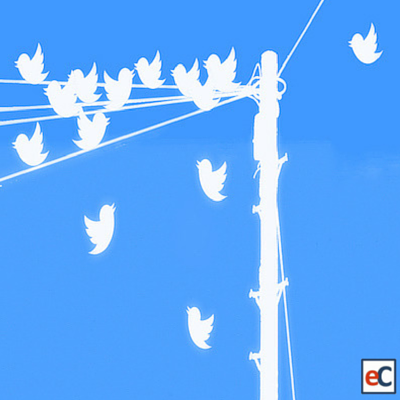 Find Twitter users that are active in your same niche and follow some of the people they are connected with! Once you have analyzed your new followers, you will want to engage with the relevant ones. Until recently, Twitter’s Direct Messages were limited to 140 characters. This made it nearly impossible to have an actual conversation. Twitter realized this and recently changed the Direct Message limit from 140 characters to 10,000. Quite a difference! We are happy to announce that eClincher now supports up to 10,000 character Direct Messages so that you can better engage with your followers. When used together, these new features will make it much easier for you to understand who your followers are, what they are talking about, who is talking about them and much more. Understanding your audience is one of the main keys to success on social media. Once you have a better understanding of the type of people/businesses you are attracting, you can optimize your content accordingly. Remember, when it comes to followers, quality is far more important than quantity. If you aren’t attracting quality followers, which you will be able to determine with these new features, then you should reevaluate the type of content you are sharing, when you are sharing it, etc.